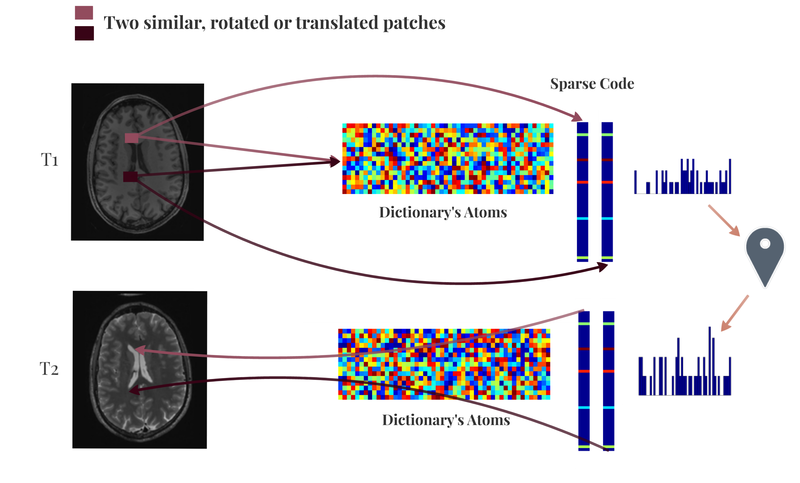 Link to our new Springer Volume *Deep Learning and Data Labeling for Medical Applications*. 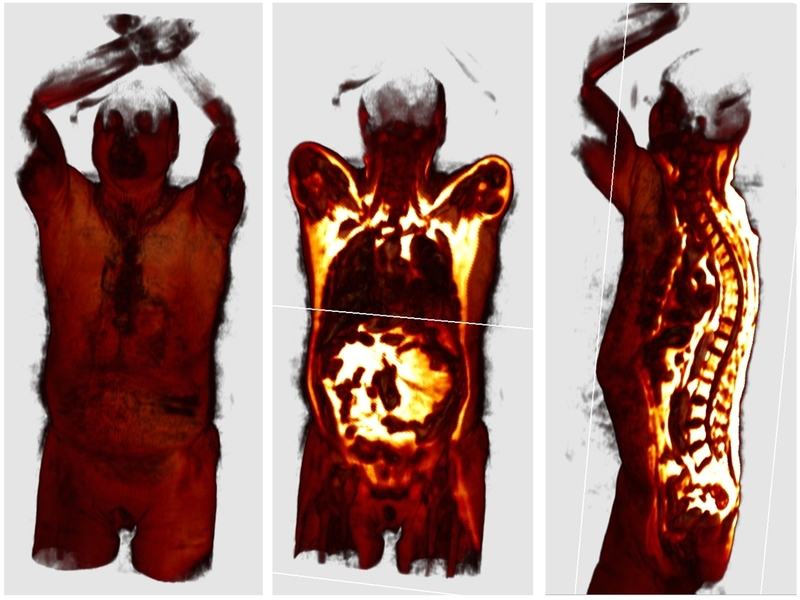 Medical image analysis: ultrasound modeling, microscopic images. Machine Learning : Weak and unsupervised learning, manifold learning, similarity learning, clustering. Geometric computer vision: Multi-view Camera Systems, 3-D Reconstruction, Scene-flow, TOF and depth cameras. Shape Analysis: representation, matching and segmentation. Robotic Applications: visual control, navigation, localization. This paper describes a novel method to acquire depth images based on combining a pair of ToF (Time of Flight) cameras. As opposed to approaches that register point clouds posterior to the image acquisition, we propose to combine the measurements of the two cameras at the acquisition level. To do so, we actively control the infrared lighting of the scene such that the two cameras emit and measure the reflected infrared light first one after the other, and then simultaneously. Assuming the scene is static during these three stages and gathering the obtained depth measurements in each state, we derive a set of constraints that allow us to optimize the two depth images. In terms of hardware requirements, the cameras need to have access to the control of the infrared lights and should work with the same infrared wavelength and with exactly the same modulation frequency. 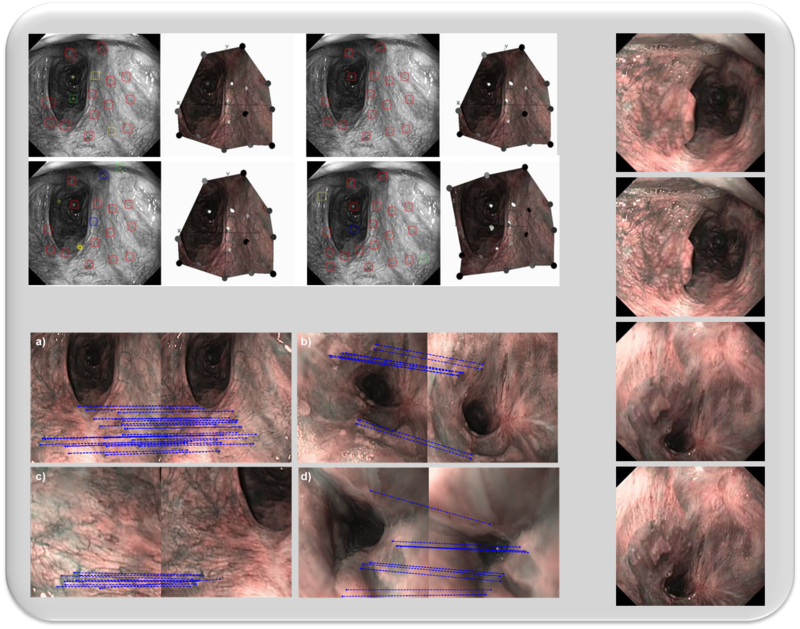 A quantitative evaluation of the performance of the proposed method for different objects and setups is provided based on a simulation of the ToF cameras. Results on real images are also provided. In both simulation and real images the stereo-ToF acquisition is able to produce more accurate depth measurements. Time-of-Flight cameras provide a novel means of acquiring depth information in a scene in real-time. In this project, we focus on analyzing human motion using this imaging device. 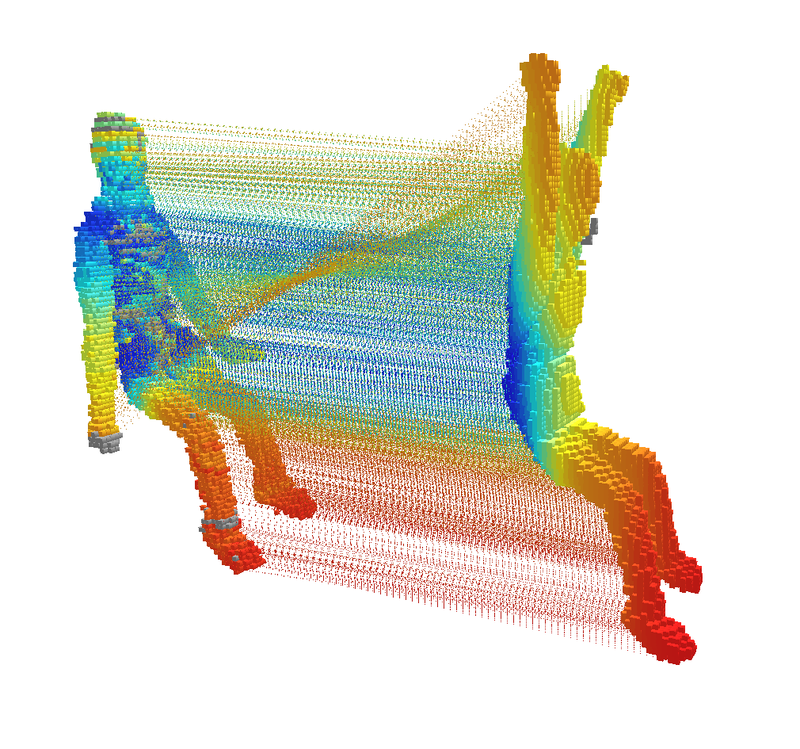 We develop methods for capturing the full-body pose in 3D form ToF camera data and for recognizing activities performed by a person. In particular, we investigate learning-based approaches that allow us to predict full-body poses and classify performed activities based on prior knowledge learned in a training phase. We also explore methods for direct, discriminative pose estimation without relying on a training phase. Quantitative analysis of human motion plays an important role for diagnosis, treatment planning and monitoring of neurological disorders, such as epilepsy, multiple sclerosis or Parkinson's disease. Stationary motion analysis systems in clinical environments allow acquisition of various human motion parameters based on inertial sensors or cameras. However, such systems do not permit to analyze patient movements in everyday-life situations over extended periods of time. Existing sys-tems using portable inertial sensors typically extract coarse-grained movement information, e.g. over-all activity indices. In this project, we investigate machine learning-based methods that allow us to recognize multiple activities and to track the human full-body pose from wearable inertial sensor data. We propose to employ a prior motion model to constrain the tracking problem from inertial sensors. Machine learning techniques, such as manifold learning and non-linear regression, allow us to build a prior motion model for each patient. The main component of the motion model is a low-dimensional representation of feasible human poses for the set of considered activities. After training, our method is able to recognize individual activities and to track the full-body pose of a patient, given only inertial sensor data. We estimate the current state of a person (activity type and exact pose in low-dimensional representation) by means of a particle filter. Using the learned representation of feasible poses for tracking significantly simplifies the search for suitable poses, as compared to exhaustively exploring the space of full-body poses. We propose a method for human full-body pose tracking from measurements of wearable inertial sensors. Since the data provided by such sensors is sparse, noisy and often ambiguous, we use a compound prior model of feasible human poses to constrain the tracking problem. Our model consists of several low-dimensional, activity-specific motion models and an efficient, sampling-based activity switching mechanism. 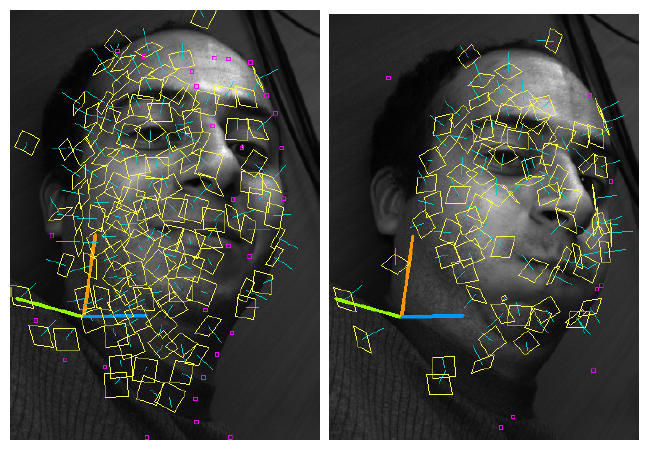 We restrict the search space for pose tracking by means of manifold learning. Together with the portability of wearable sensors, our method allows us to track human full-body motion in unconstrained environments. In fact, we are able to simultaneously classify the activity a person is performing and estimate the full-body pose. Experiments on movement sequences containing different activities show that our method can seamlessly detect activity switches and precisely reconstruct full-body pose from the data of only six wearable inertial sensors. INRIA Rhone-Alpes, Perception Group. Grenoble, France. This project studies alternatives for the representation, segmentation and registration of articulated shapes in the absence of a-priori models. The analysis starts with the 3-D reconstruction of the objects (voxelset or mesh) from video sequences obtained with a multiple-camera setup, and with the representation of the voxelset or the mesh as a graph. 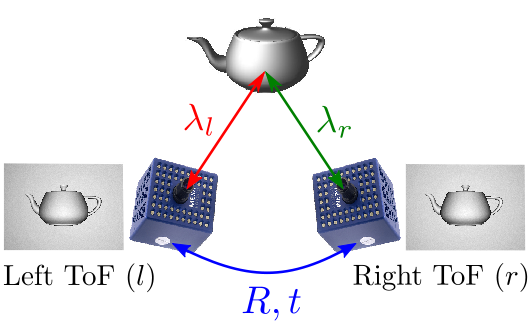 Relying on the spectral-graph theory and on the spectral embedding techniques (e.g Laplacian Eigenmaps, LLE), a quasi-invariant representation of the shape is built and used for solving the registration and segmentation problems. 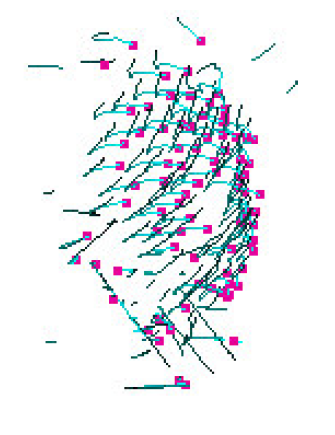 The Registration consists on finding a dense match between the nodes of wide-separated poses of the same shape. The problem is solved by first aligning the two spectral representations trough the matching of eigenfunction histograms, and then refined with an EM algorithm formulated following the Bayesian framework for clustering. Finally, the Segmentation relies on a spectral clustering method based upon k-wise relationships. Inexact Matching of Large and Sparse Graphs Using Laplacian Eigenvectors David Knossow, Avinash Sharma, Diana Mateus and Radu Horaud Proceedings of 7th Workshop on Graph-based Representations in Patterns Recognition - GBR 2009. D. Mateus, R. Horaud, D. Knossow, F. Cuzzolin, E. Boyer. Articulated Shape Matching Using Laplacian Eigenfunctions and Unsupervised Point Registration. IEEE Conference on Computer Vision and Pattern Recognition - CVPR 2008. The scene-flow is a 3-D vector field describing the motion of objects present in a scene. In this project we develop a multiple-camera extension of the Lucas-Kanade tracker. 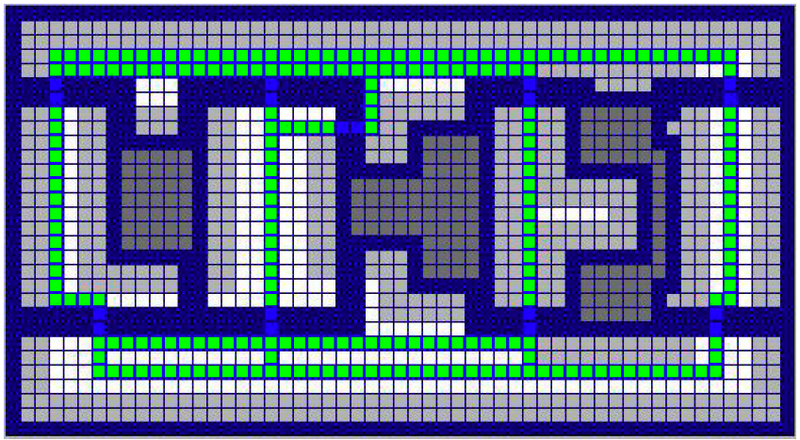 Analysis and algorithms are proposed for two types of descriptors: points and small oriented surface patches (surfels). A cost function is defined in each case as well as the iterative optimization update rules to minimize it. A pyramidal implementation is employed to deal with high-speed motion. The concatenation of scene flow vectors along time, gives rise to 3-D trajectories useful for motion analysis, e.g trough the segmentation of the trajectories in groups of coherent motion. LAAS. RIA Group. Toulouse. France. 2003-2004. Project aimed to establish a navigation framework for robots in semi-structured outdoor environments enabling the execution of semantic tasks by chaining of elementary visually-based movement primitives. The visual control begins with the color segmentation of the images. The regions obtained are then identified as one of the previously learned classes (e.g sky, road, tree). Navigable regions are modeled and tracked with a an active contour. The objective of the internship was to design an algorithm able to dynamically plan short-term smooth trajectories for the robot to follow, and to control the execution of the designed path. Universidad Javeriana. Electronics Engineering Department. Bogota. Colombia. 2002. In collaboration with Fernando Conde y Daniel Otero. 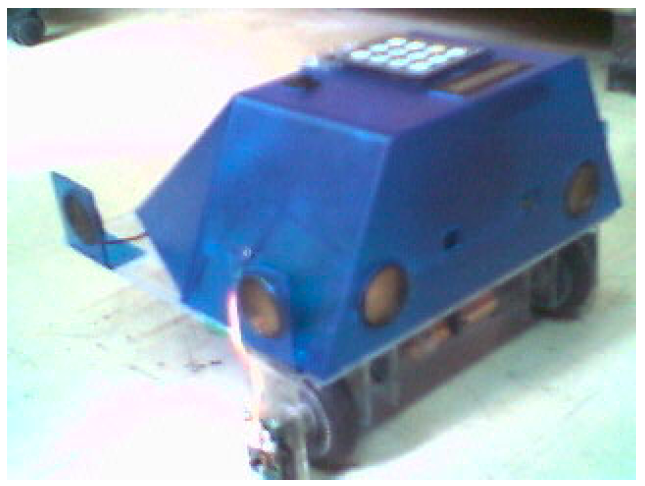 Project comprising the conception of an autonomous mobile robot, Macondo, starting from the hardware and mechanical design, trough the design of the embedded systems for perception and control, and concluding by the development of the navigation tasks (low-level control, localization, path planning). The environment is assumed to be known and is represented with a hybrid, metric (occupation grid) and topological (graph), map. The robot uses genetic algorithms and an A* for path planning, and a Markov Localization method to determine position inside the representation by taking into account the incoming information from different sensors. Both path planning and localization tasks were efficiently programmed in low-level microprocessors languages. D. Mateus, F. Conde and D. Otero. 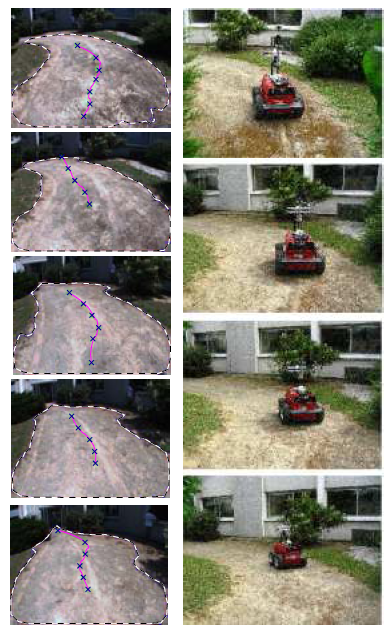 Autonomous Robot Navigation in Topological and Metric Environments. IEEE Latin American CAS Tour 2002. I'm research scientist at the joint Research Group between the Institute of Computational Biology (Helmholtz Zentrum) and the Chair for Computer Aided Medical Procedures (Technical University of Munich). I did my PhD, at the PERCEPTION Team- INRIA Rhone-Alpes (Grenoble 2004-2008) under the supervision of Radu Horaud. My doctoral thesis focused on the registration and segmentation of articulated shapes, using a geometric interpretation of spectral embedding methods (generally used for manifold learning). It also included a general method for estimating the Scene-Flow (3-D optical flow) from image sequences obtained with a multiple-camera set-up, as well as the the segmentation of the resultant scene-flow trajectories in groups of coherent motion. The PhD was part of the FP6 Marie Curie EST Visitor project. My previous research work pointed to robotics applications devoted to localization and visual navigation. I completed a research MSc. (MsC./DEA) in Automation Systems (Toulouse 2003-2004) at the LAAS laboratory in the Robotics, Action and Perception Group (previous RIA team), under the direction of Michel Devy and in collaboration with Gabriel Avina. I obtained my Bachelors in Electronics Engineering in the Javeriana University (Bogota-Colombia 1996-2002). 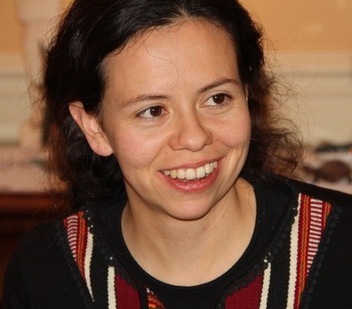 Associate Editor: ICPR 2012, 2014. Workflow Monitoring based on 3D Motion Features. N. Padoy, D. Mateus, D. Weinland, M.O. Berger, N. Navab. ICCV Workshop on Video-oriented Object and Event Classification, Kyoto, Japan, September 2009 (IBM Best Paper Award). Spectral Tools for Unsupervised Modeling of Articulated Objects from Multiple-view Videos. Diana Mateus. INRIA Grenoble (Institut National de Recherche en Informatique et Automatique) and Institute National Polythechnique de Grenoble (INPG). September 2009. Inexact Matching of Large and Sparse Graphs Using Laplacian Eigenvectors. David Knossow, Avinash Sharma, Diana Mateus and Radu Horaud. Proceedings of 7th Workshop on Graph-based Representations in Patterns Recognition - GBR 2009.